It's time for bed but you just can't seem to turn your brain off and find that lulling pull of sleep. You may need a little help unwinding, and reducing stress and anxiety in order to get you from go go go to snoozing. 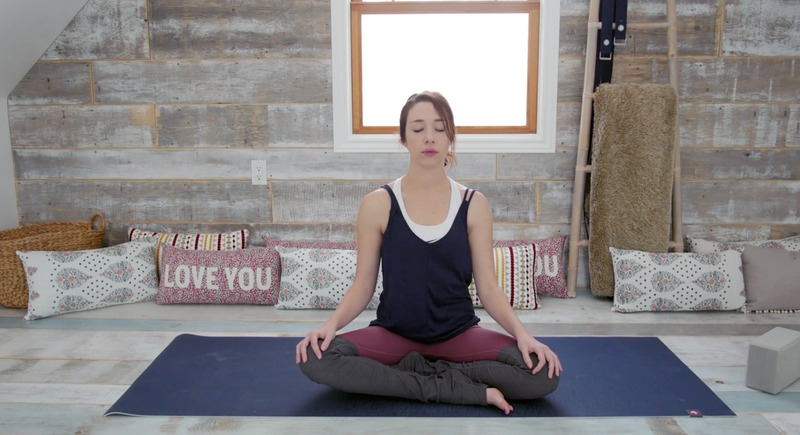 I have found these 5 Yin Yoga poses to do just the trick. If you want to maximize their effect on your sleep cycle, you could even do them right in bed! You will want to have some props handy, but pillows and cushions will do, particularly if you are doing these on your bed. 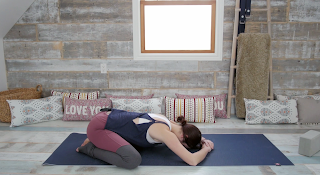 These poses are pulled from my 45 minute Yin Yoga for Sleep video, feel free to click through to that if you want me to gently guide you from one to the other. So go get ready for bed and join me on the mat(tress)! 1. Meditation - This is a great way to end your day (and then start it again in the morning). I highly recommend making meditation a part of your daily routine, even just for a few minutes at a time. Sit comfortably with your legs crossed or kneeling. Use a cushion or block to prop yourself up if that feels good for you. Settle your low back and hips, gently place your palms on the knees. Relax your shoulders and close the eyes. Rock side to side and back and forth to find your true center, and then resolve to be still. Bring awareness to the flow of your breath, letting the day slip away. A longer exhale than inhale will help you to soothe the nervous system and find relaxation. I suggest inhaling for a count of 4, holding for 2, and then exhaling for a count of 6. After the desired length of time (start small, with something like 3 minutes, and gradually increase the time), return to your natural flow of breath. Blink the eyes gently open. 2. Wide-legged Child's Pose - To make this pose restorative, don't bring your knees too wide. Take them to what feels most comfortable to you, anything hip distance or so will do. Toes come together. Bend your elbows and stack the hands, bringing your head down to the mat. Use an assortment of cushions, pillows or props to find total comfort here. You can use them to support the head, or the hips, whatever feels right in the moment. Invite the tension in your joints to dissipate and fully let go. 3. 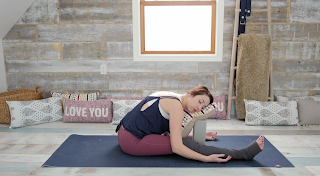 Easy Pigeon Pose - Grab some cushions, pillows or blankets to prop yourself up. Bring your right knee behind the right wrist. Instead of taking this to the full range of motion, i.e. aligning shin to the top of the mat, keep your heel tucked in fairly close to the groin. If your hip is up off the mat(tress) place a prop there to support you. Fold over, coming to rest on another soft prop, resting on your cheek. Relax into the shape, making any adjustments as needed while you hold the pose for a generous length of time. Switch sides, by bringing the right leg back and taking the left knee forward. 4. Forward Fold - Bring your left foot to the inside of the right thigh, opening the left knee to the side. With your right leg extended, slowly fold forward over it. To make the pose more accessible and relaxing, bring a pillow to rest on a standing block. Relax into this prop wall. As you hold the pose, you will naturally go further into the pose, but there is no need to make your body into any particular shape here. Draw your shoulder blades down the back and soften all over, letting the props gently hold you up. As you switch to the other leg, don't feel like you need to make the stretch look the same. 5. Supported Bridge - Lift and press your hips up, sliding a block at the lowest level, or a cushion, under your tailbone. Stay here, in this ever so slight inversion, or lift your legs straight up to the sky. Let your legs be weightless, allowing your knees to have a gentle bend if it feels right. Let your upper body be heavy, arms falling out to the sides. Alternatively, if there is a wall beside you, you can simply take your legs up the wall here. Both variations are great if you are on your feet all day, if you have just completed a grueling workout, or for those that experience swelling in the legs. Move everything aside and find yourself some restful slumber! 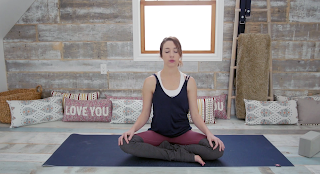 As I said earlier, if you would like to be eased through these poses check out the Yin Yoga for Sleep video. 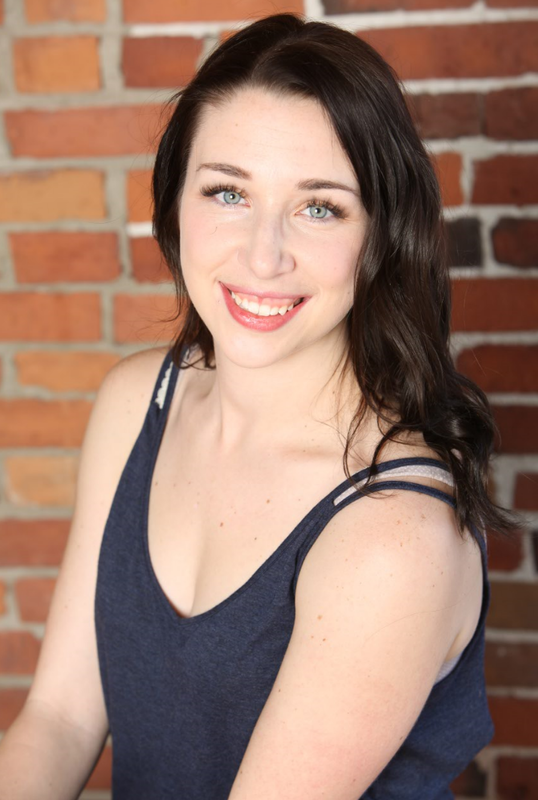 Don't forget to subscribe to Yoga with Kassandra on YouTube, for new yoga videos every Thursday! Did you know that you can shorten your long urls with Shortest and earn dollars from every click on your shortened links. A proper night's sleep is absolutely essential for our long-term health and mental well-being. But getting enough sleep - and sleep of the best quality - is a requirement we often fail to meet. Taking sleeping pills is both addictive and dangerous, while simple breathing or mental exercises just aren't effective for most of us. Sleep meditation, however, can guide us down to a deep sleep amazingly well because it works in harmony with our natural Sleep Cycle app. Since 2015, I am doing yoga. At first, it was hard for me to get the necessary items for yoga. A friend of mine suggested me yoga accessories. Though I was hesitating first, after knowing there worldwide shipping and money return policy, I ordered a few things from them, including non-slip yoga mat,socks, etc. I am so glad that I choose them. Their product quality is so good, just as they claimed and very long-lasting. Their price is also very reasonable too, which helps me a lot to purchase more.